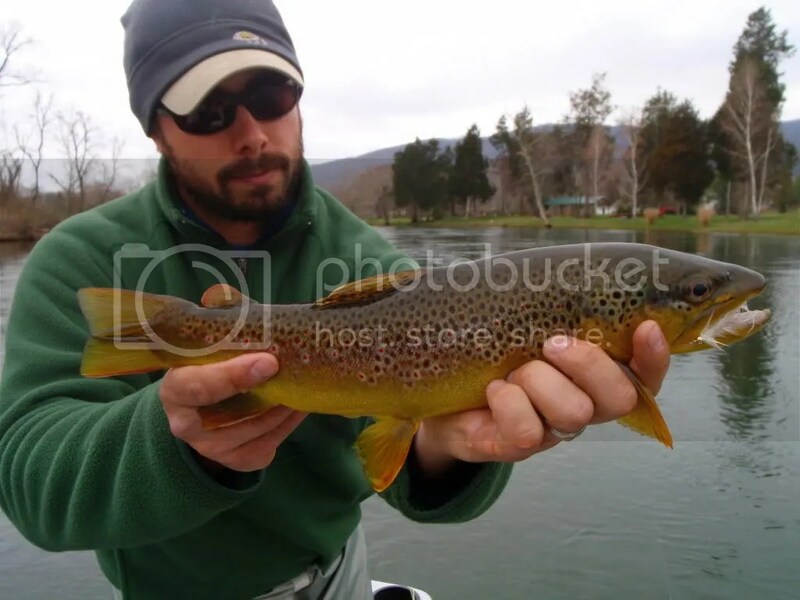 My good friend Chris and I spent the day on the upper Watauga (High Water Float)prospecting for up coming guide trips. Today was a great streamer day, overcast skies, cool weather, and no crowds. We started the day off with a quick streamer fish, then we anchored above a pod of rising fish for a while and pick up a several on emerger patterns. Then it was back to streamer and nymph fishing. If you can’t tell by my earlier posts, I am a big fan of worm patterns. I fish them in all sizes and colors, high and low water. The worm was a big producer today, as was white streamers. We are fishing heavy nymph rigs in the soft seams with great results.We are always adjusting our nymph rigs to match river conditions, so don’t be afraid to add and remove weight. Also, If you don’t get them on the drift, they will usually take on the lift or swing. A nice upper river brown. All though we had great success on nymphs and dries/emergers, the streamer fishing was on fire. 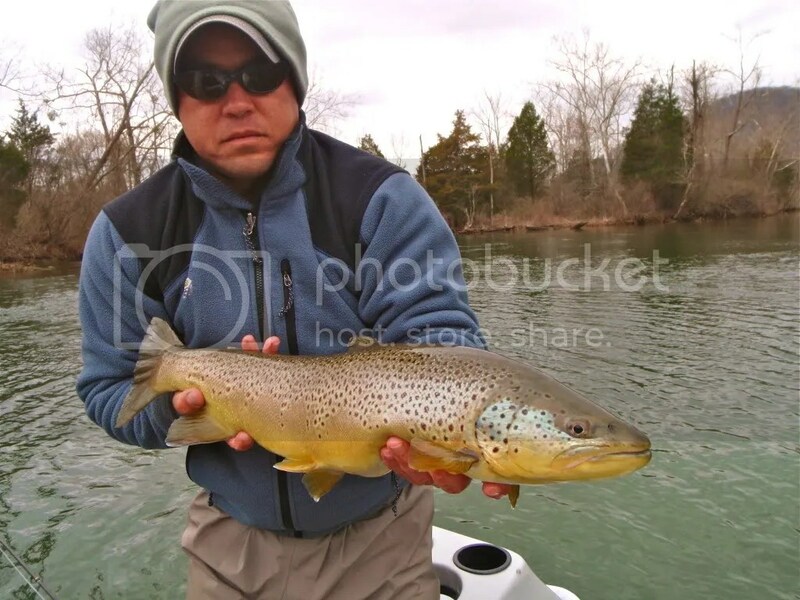 We boated some big numbers today, with one exceptional brown. We are booking trips on the Watauga and South Holston now, however our home water the Catawba River will be an option in the future. 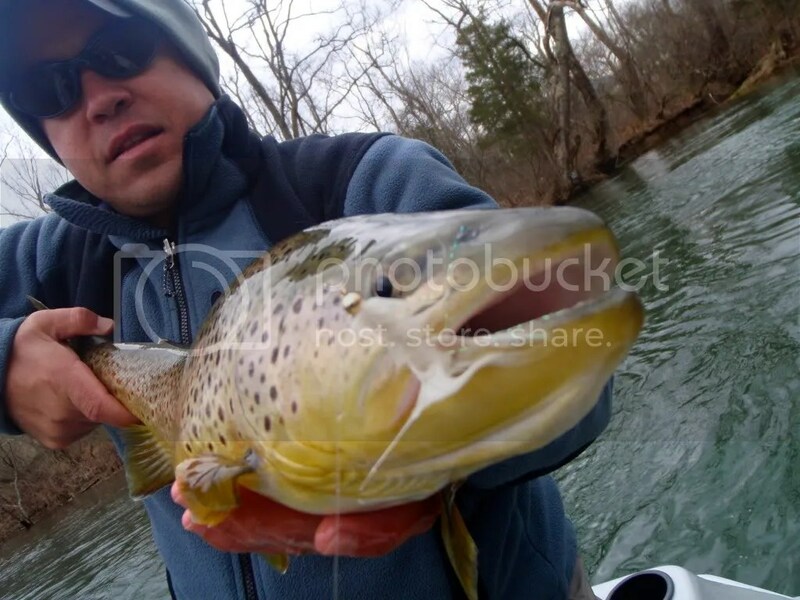 (provided the new minimum flow helps the river)Hopefully we will be seeing more fish like this when the Catawba River comes on line, even though there are some already lurking around! 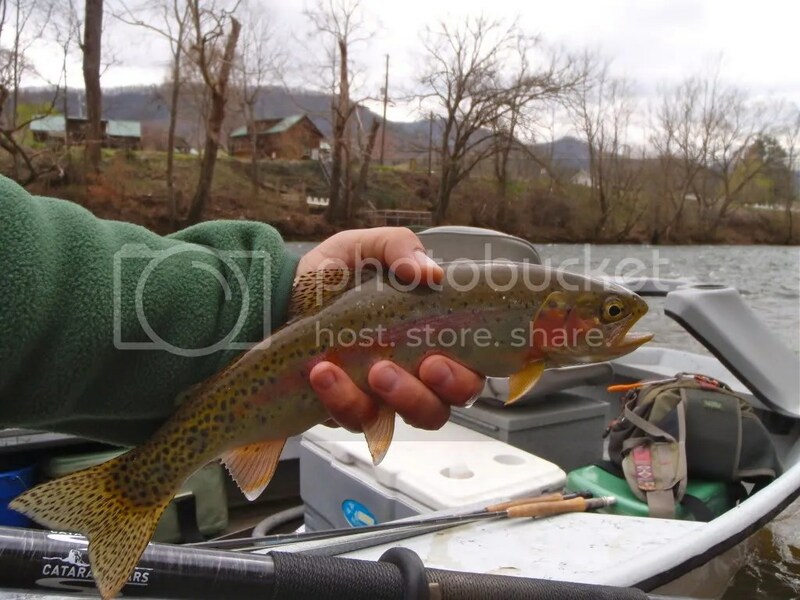 This entry was posted in App Fly Guides, Appalachian Fly Guides, Float Trips, Fly Fishing Guide, Fly Fishing Guide Service, Fly Fishing Guides in North Carolina, Fly Fishing Trips, Guided Fly Fishing, Guides in East Tennessee and tagged Appalachian, appalachian fly guides, Brown trout, bwo, Caddis hatch, Catawba River, Catawba River Fly Fishing, drift boats, drift fishing, East Tennessee, Fishing Guide, Float Guide, Float Trips, fly fishing guide, Fly Fishing Guides in Boone, guided fly fishing in Tennessee, Guided Watauga River Float Trips, guides near boone nc, mothers day caddis hatch, Quality Trout Zone, South Holston, Trophy Section, Upper Watauga River Float Trips, Wilson Creek Fly Fishing. Bookmark the permalink. I love Western North Carolina…particularly Boone! Beautiful lake and river pictures-Watauga is on my “to see” list!